I’m sure by now most of you already know, but just in case, Tesla Motors is an American [electric] car maker, headed by co-founder, Chairman and CEO, Elon Musk, (who’s prior claim to fame was as co-founder of PayPal.) The car maker gained attention first with the Tesla Roadster, the first fully electric sports car, followed by their current hot commodity, the Model S, an electric luxury sedan. Tesla also supplies components to major auto makers like Toyota and Daimler, helping contribute to their bottom line, but back to the Model S…. With a driving range of between 208 and 265 miles, a full charge for the Model S takes 6 hours (using an ordinary 240 volt outlet.) They’re in the process of installing Supercharger stations in high-traffic corridors throughout the country, to enable consumers to make long distance trips. Depending on the battery, the power output ranges from 302 – 416 hp, coupled with 317 – 443 lb-ft of torque. 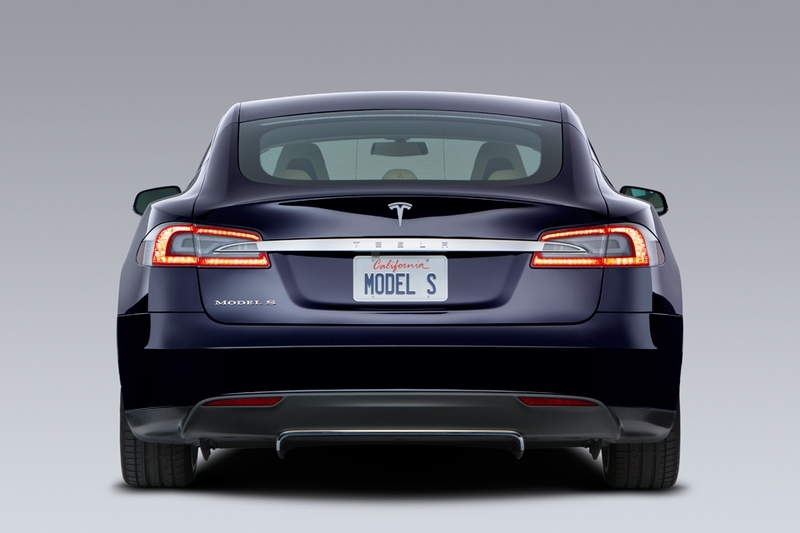 Pricing starts at about $70,000, and that doesn’t include any incentives, federal or state, for the electric car. Now here’s some food for thought…..Did you know Tesla Motors is named after the renowned Nikola Tesla? An inventor, engineer, physicist, and futurist, he is best known for his contributions to the AC electricity supply system. The AC induction motors found in the Tesla Roadster and Model S descend from the original 1882 design. After announcing Q1 profits for the first time, Tesla’s shares surged 24% (and have since continued to rise.) Net income was posted at $11.2 million, quite the contrast from last year’s loss of $89.9 million. However, a large chunk of profit did come from ZEV (zero-emissions vehicle) credits, sold to other automakers. 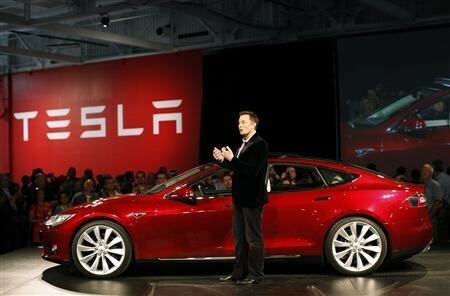 In any case, Musk plans to exceed their initial forecasted performance of 20,000 vehicle deliveries. Elon Musk and his outspoken demeanor seem to jive well with Wall Street these days. His influential tweets about the company are becoming synonymous with a boost in Tesla’s stock, as well as well-timed to prevent dips. The company is now valued at an astonishing $8.8 billion. Quite an effective use of social media, if I may say so myself. Although often looked at as being a controversial company, the positive press is definitely flowing. 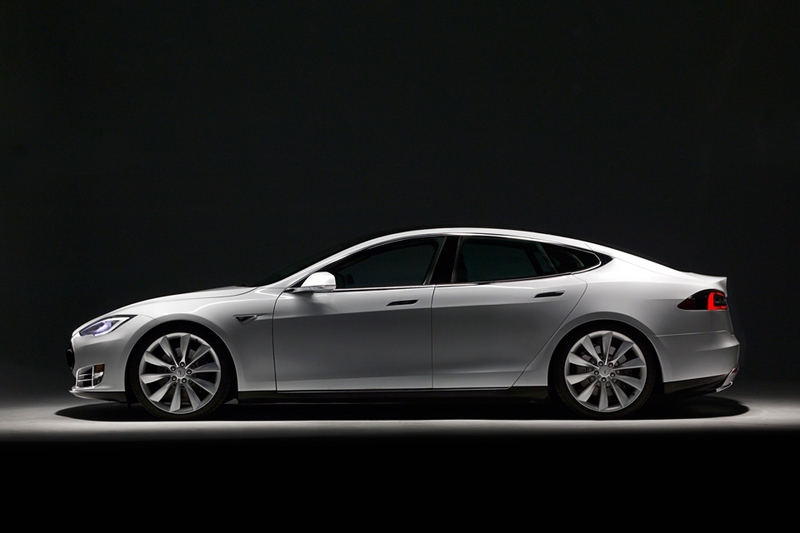 Consumer Reports claims that the Tesla Model S is the best car ever tested, earning a 99 out of a possible 100 points. According to Jake Fisher, head of auto testing, the car’s performance is “off the charts.” Consumer Reports has yet to recommend the vehicle as it’s too soon, and furthermore, they’re waiting to receive crash test scores from the government and IIHS to determine the vehicle’s reliability. 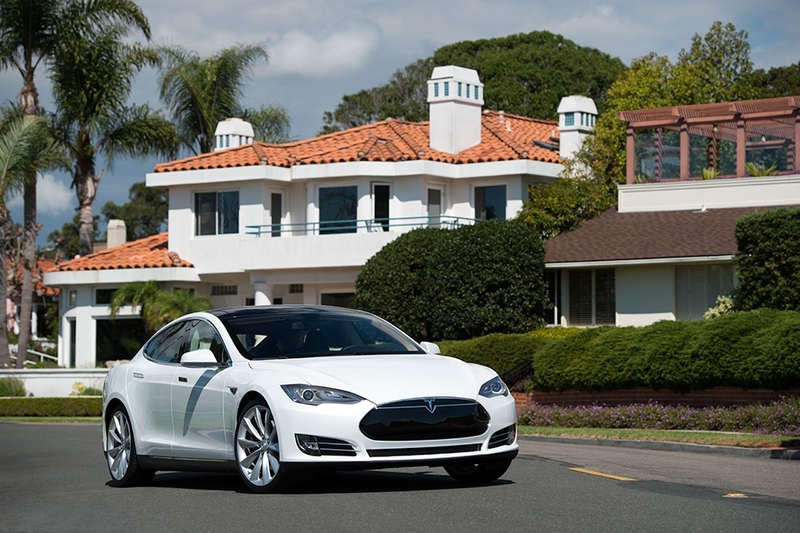 Motor Trend calls the Tesla S a “truly remarkable car” bestowing upon the vehicle the title of 2013 Motor Trend Car of the Year. They say it “drives like a sports car, eager and agile and instantly responsive. But it’s also as smoothly effortless as a Rolls-Royce, can carry almost as much stuff as a Chevy Equinox, and is more efficient than a Toyota Prius… and it’ll sashay up to the valet at a luxury hotel like a supermodel working a Paris catwalk.” Well, I couldn’t have put it better myself. I’ve seen more and more of them on the road and they’re definitely head turners– at first glance, sleek and impressive… but that would be an understatement. In a realm where the competition continues to drop off– Fisker is in financial turmoil, and Coda Automotive already went under, I’d say they’re on the right track. (No pun intended.) And what about the challenge of long-term sustainability? Well for now, plans for the Tesla Model X crossover are in the works, and then there’s talk of a future, less expensive vehicle. Perhaps a partnership with Google to add driverless technology? In the U.S., there are over 250 million cars, and we all know that cars produce a great deal of pollution, thus the trend toward alternative fuels, [and typically more expensive] hybrids and electric powered vehicles, which are, indeed, more eco-friendly. BUT, the questions arises, how much greener is an electric car? Well, did you know that it depends on what city you live in? The info-graphic below, courtesy of carinsurance.org, illustrates how green your [electric] vehicle is, depending on where you live. You see, it takes power to charge an electric car, therefore, the energy expended in charging could be leaving quite a significant carbon footprint in the environment. Do you know if your city is powered by coal? Are you in the market for a new car and want to do your part to help save the environment? Check out the graphic below, to determine how much impact an electric vehicle makes on your city. The badge exemplifies a “wholistic” approach to environmental responsibility, expressing the “before”, “during”, and “after” in the vehicle lifespan. 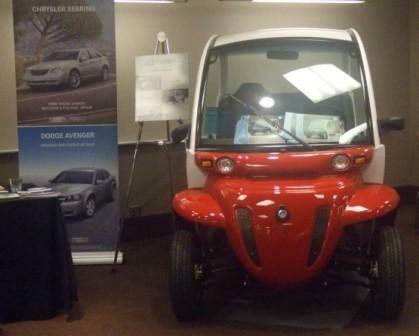 It communicates vehicle-specific features like environmental aspects that relate to vehicle manufacturing and/or assembly (before); fuel-saving technologies, aerodynamics, lighter weight components, low-rolling resistance tires (during/on the road); and the “after” reflects how 85% of the vehicle, as determined by its weight, can be recycled at the end of the vehicle lifespan. In essence the badging will showcase environmental features of the vehicle that relate to manufacturing, driving and recycling. 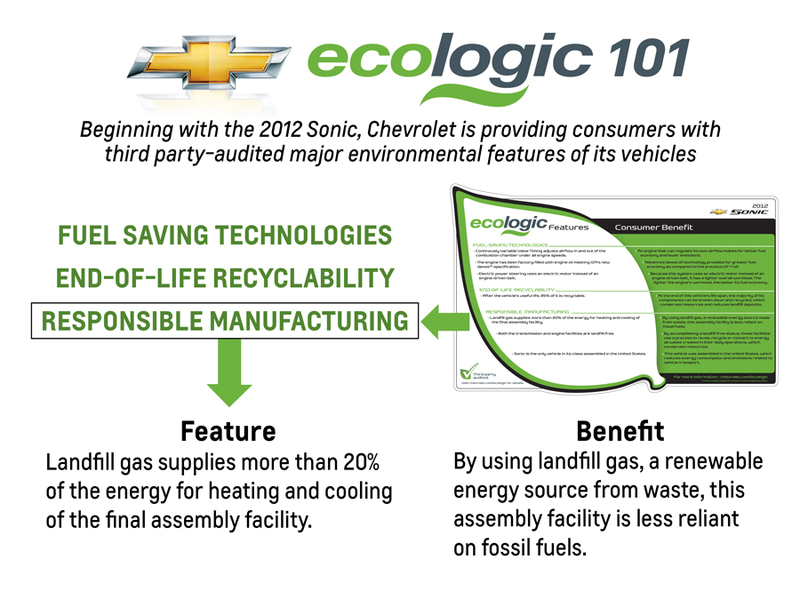 Chevrolet conducted two types of research in the process of the Ecologic label creation– qualitative (focus groups), and quantitative (metrics). Female consumers were clearly interested, but they also found a significantly higher appeal amongst younger consumers (18-26), and older (46+) generations. When should we expect to see the labels? The first vehicle to display the eco-badging will be the 2012 Sonic, put on by the manufacturer on the rear driver’s-side window, and we should see the vehicle sometime this February. The Sonic will be followed by additional 2013 Chevy vehicles that will receive the label later this year. The Chevy-specific initiative, will debut first in the U.S. and then they will evaluate the global opportunity with the brand. So what do you think folks– Will this blatant display of information on environmental responsibility influence your car buying decision? At very least, it’s a “feel good” motivator, right? 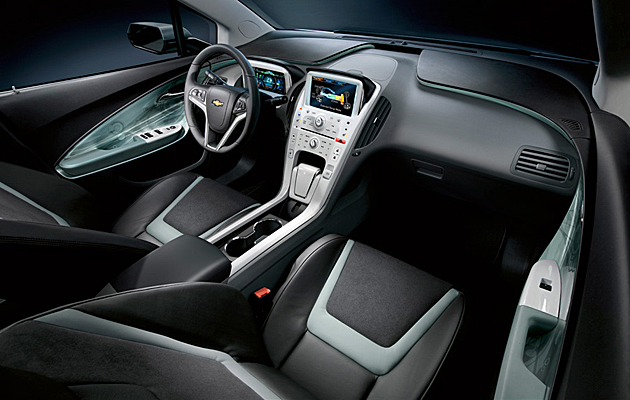 And finally… the long-awaited Chevrolet Volt is set to debut in October or November of this year- 2010. The vehicle will be able to travel as far as 40 miles on its lithium-ion battery before reverting to the gasoline-powered engine. According to GM’s U.S. marketing chief, Joel Ewanick, consumers interested in electric vehicles also want peace of mind that the gasoline engine would provide, based on their research and their tout with the EV1 of the early ‘90’s. The Volt will be a “real” car that fits the needs of the consumer. Leave it to the liberal, eco-minded sunshine state, California will be one of the first locations where the vehicle will be available for sale to the public. The other initial launch markets include Michigan, New York City, Austin, Texas and Washington, D.C.
As to the price, expect to pay a minimum of $41,000, including a “shipping fee.” However, the Volt will be eligible for a $7,500 government tax credit. Additionally, GM will offer a competitive lease: $350 a month for 36 months, after a $2,500 down payment, only available to those in the launch markets. As always however, cash is king, and those residing in other markets that are interested in the vehicle can pay participating dealers cash to get their hands on the car. 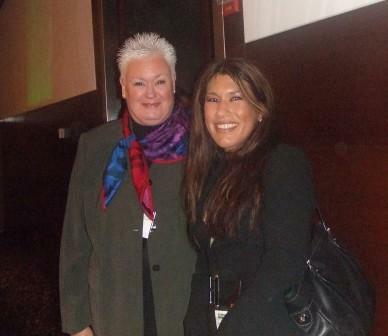 Stay tuned for future sales expanding to New Jersey, Connecticut, and the rest of Texas and New York by mid-2011. So what do get for this price? Well with the base model you will receive the cord to charge the vehicle in a 120-volt outlet (it takes about 10 hours for a full charge), Bluetooth, as well as five years of OnStar. Add all the bells and whistles and you bring the price to $44,600 (before the tax credit). Options include a park-assist and rear-camera package, premium trim package with heated leather seats and a leather wrapped steering wheel, and 17″ polished aluminum wheels. Want to check it out and find out who’s on the list of participating dealers? 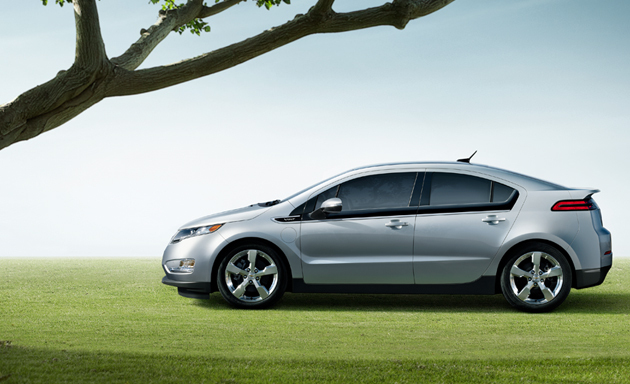 Take a look at http://www.getmyvolt.com/ to see the full list, or call the Volt hotline at 1-888-VOLT-4-YOU, accessible 24/7. Orders are now being taken, and for those consumers that pull the trigger, GM will call the buyer and then the customer once it’s up for production. Buyers can then track the status of their orders on this website. Just recently I had the wonderful opportunity to meet with my dear friend, John Viera, Ford’s Director of Sustainable Business Strategies, for an update on where this “blueprint” stands. (If you remember, last August I was in Detroit where I got an in-depth explanation of the plan.) This time, John came to his hometown, Chicago, to give a status update, which I was delighted to hear showed positive progress on Ford’s behalf. Another point John touched on was that many of the European small cars are being introduced in the U.S., known as “global cars”, (think Fiesta), and Ford expects to have 6 global vehicles by the year 2012. Did you know that the 2010 Ford Fusion Hybrid is North America’s most fuel-efficient midsize car? In fact, the Ford Fusion Hybrid gets better gas mileage than the Toyota Camry! (8 miles per gallon more to be exact!) After hearing all about the Fusion, John went on to discuss Ford’s electrification strategy, explaining that there are (3) phases. Currently, many Ford vehicles are equipped with the EcoBoost engine, (typically a V8 engine is replaced with a V6 EcoBoost), which is essentially an optimized version of the traditional gasoline engine. 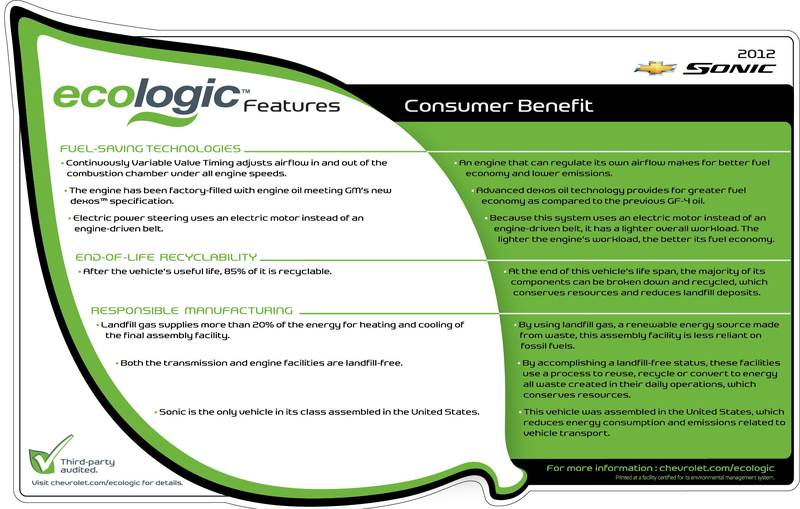 So in conclusion, the EcoBoost increases fuel efficiency and decreases CO2 emissions without compromising performance. Fabulous. They didn’t neglect the fundamentals. In talking about the electrification strategy, John explained that phase one is the hybrid vehicle, which makes use of a gasoline engine and an electric battery, where the electric battery is charged by the engine. Phase two is the plug-in hybrid which takes the technology a bit further, and the more sophisticated electric battery is charged by plugging the vehicle in to a standard household outlet. And lastly, phase three is the [all] battery-powered electric vehicle, which makes use of a more powerful battery and is totally non-polluting. John made sure to highlight that a key part of Ford’s strategy is “affordable technology”, meaning that Ford is not only working on advancing the electric technology in vehicles, but refining the details to make it affordable for consumers. Cheers to thinking strategically! On Sunday, I ventured to the suburbs where Ford held a consumer product launch event, which nonetheless complemented my visit with John. Nationwide in all the major cities, Ford introduced the new 2010 Ford Fusion, which included a hybrid model. Luckily for Ford (and me), it was a beautifully sunny day in the windy city, and I had no problems taking the Fusion Hybrid for a spin. I must say- I was impressed! First off, for those of you that have never driven a hybrid, it’s such a weird feeling to turn on the car without the traditional “choking” sound of the engine. And then as you step on the gas, you feel as if you’re in neutral in a manual car, simply coasting along. But don’t let the glide-effect fool you- the vehicle had decent pick up and felt heavy and sturdy on the road. Another exciting feature in the Fusion Hybrid was Ford’s SmartGauge with EcoGuide…. What, you may ask, is that? Well it’s a new technology implemented in the instrument cluster that allows drivers to optimize performance of their hybrid. It displays information like the fuel and battery power levels, average and instant miles-per-gallon, and fluctuates while the vehicle is moving so the driver can determine when (at what speed) they are driving most efficiently. If you haven’t already guessed it, MyKey is a technology introduced by Ford to enhance and encourage driver safety and increase fuel efficiency, particularly amongst new [teen] drivers. As implied by its title, MyKey allows the vehicle owner to program a key to limit the vehicle’s top speed and audio volume when in use. It also encourages safety belt usage by muting the audio and chiming a warning sound until the safety belt has been secured properly. Additionally, a chime sounds when the fuel level is low, at 75 miles to empty, rather than the typical 50 miles to empty. And MyKey can be programmed to prevent the deactivation of the vehicle’s traction control system– so unless they’re Krispy Kremes, no donuts allowed. Despite the winter wonderland outside, after hearing all about MyKey, I was able to take the Mercury Milan out for a spin to see the MyKey features in action. I realized immediately (while driving), just how MyKey encourages safer driving behavior and limits distractions. As I hit 45mph, 55mph, and then 65mph on the freeway, MyKey kicked in, sounding a warning chime that caused me to take notice of my speed. I reached maximum speed at 80mph, which also made me realize if I didn’t slow down, I’d be doomed for a speeding ticket. While behind the wheel, I decided to unbuckle my seatbelt for just a moment (not something I encourage) to see what would happen, and sure enough the radio muted and the warning chime again kicked in until I quickly refastened the belt. And speaking of audio, the volume was limited to maximize at 44% of the total volume. So although “loud,“ I was still very aware of my surroundings, and could hear what was going on around me on the road. Debuting as a standard feature on the 2010 Ford Focus, MyKey will also be offered on many other Ford, Lincoln and Mercury vehicles. And not to worry, although MyKey will become standard on many vehicles, it will be offered an additional feature to the traditional key, so the vehicle owner has the option to use (or not use) the MyKey system. What will they think of next? 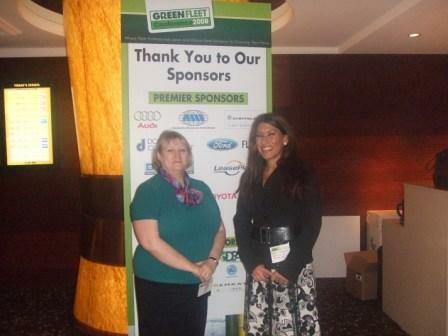 The first ever 2008 Green Fleet Conference, held in Chicago on September 15 & 16, was designed by Bobit Business Media for automotive fleet professionals, in order to educate, discuss and develop solutions to “green” their fleets. The conference kicked off with a presentation by Key Note speaker, Mike Antich, Editor & Associate Publisher, Mike Antich. He gave the audience a “Sneak Preview of Upcoming Green Fleet Vehicles,” including model line-ups from Chrysler, GM, Ford, Toyota, Honda, Nissan, Subaru, Mercedes, BMW, Mazda, Hyundai, Porsche, Volkswagen, Mitsubishi, Tesla and Zap. *The Cadillac Escalade Hybrid was the first ever, luxury hybrid. *Toyota has come up with their first ever, dedicated hybrid, to debut at the 2009 Auto Show. *One of the most unique/interesting concept vehicles presented was the Toyota RiN Concept, known as a “mood vehicle,” in that the ambient lighting changes color depending on the driver’s mood. *The Mitsubishi iMiev is an “ALL” electric vehicle. The sessions began with a panel on what works and what doesn’t when implementing a Green Fleet Initiative, to include “best practices” shared by fleet managers on the panel. Following this panel topic, panelists, moderators and keynote speakers highlighted the cost of “going green,” driver behavior (acceptance or challenges faced), and of course, the topic that is of concern to many fleet managers- how to effectively remarket “green” or Hybrid vehicles. Learning from Best Practices- Coca-Cola Bottling Company, Scientific Games Corporation, Genuine Parts Company, Shire Pharmaceuticals & Donlen Corporation are already greening their fleets. Representatives from these companies share their experiences. It’s evident that global climate is changing. The EPA said that in 2007, the US is the largest producer of CO2, and the transportation sector drives 31% of the CO2 output. Each gallon of gas burned produces 19.5lbs of CO2. Panelists discussed their driving force(s) of “going green.” Josie Sharp of Shire pharmaceuticals said that Shire has established corporate policies worldwide to protect the environment. In doing so, they save $800 a vehicle. It’s important to them to educate their drivers/employees on “going green.” Coca-Cola got in the game in 2004, by purchasing 25 Toyota Priuses. This move realized both the economic and environment benefits. Another thing that many companies have started to do is use vehicle data (via asset tracking) to prevent unauthorized fuel consumption and general vehicle use. That being said, they allow employees to work from home more often, and are working on bringing “California clean car standards” (more rigid than everywhere else) to states like Illinois. Asset tracking provides tangible data that can be used to educate management teams and other employees about the importance of “going green,” and the process to get there. Showing them proven results makes it easier for them to accept the change. To delve further into GPS Systems, the data produced can be used to reduce idle time, manage routes more efficiently, and cut costs by cutting out unnecessary routes. Overall they prove to be cost effective by reducing fuel costs, creating general company awareness, and serving as a value added acquisition for corporate fleets. And the challenge? Well, going against the “one vehicle fits all” standard. It’s a slow process to transition and gain acceptance. Some of the common push-backs/excuses that panelist shared (which I found humorous myself) were: “I can’t carry my golf clubs in the Prius.” “I can’t fit a car-seat in the Prius.” And “It’s not safe.” I think just maybe, there may be another alternative to transporting the golf clubs! I think John Dmochowsky, Sales Fleet Manager of Kraft Foods summed it up best to the question, “what does ‘green’ mean,” when he said, ‘It’s an intersection between environmental, social and economic responsibilities.” Other panelists differed in their responses as to the definition and also the evolution of the “green” initiative. One person said they thought it was a big marketing conspiracy, created by the industry, just like seatbelts. They went from being trivial to now ubiquitous. Needless to say, regardless of the cause, what I kept hearing is that awareness is what drives the green initiative, therefore companies are emphasizing awareness not only to their employees, but also to their customers. Global [environmental policies] have, in many cases, been in effect for a number of years, however their refinement with fleet is a recent thing. For companies like Panda Restaurant, “green equates to frugality,” said KarYeng Liew. They switched to hybrids a long time ago. ADP, on the other hand, is currently working on a policy to encompass their whole company. The hot button topic dealt with the manufacturers. What was said is that manufacturers need to do something to help the fleet managers with “greening.” It’s a matter of planning. They need to build cars that their customers need. They need to think “outside the box.” In fact, one manager pointed out that she has what [vehicles] she could get, not what she needs. In discussing “out of the box” solutions that some companies are initiating to “green” their fleets, Liew said that the CEO of Panda Restaurant drives a Prius to work, with the mindset that in order to set the trend, you have to exemplify something that a consumer wants to embark on. Apple Inc. hosts “brown bag lunches” to discuss fleet initiatives. The common theme resonating amongst panelists though was that before making changes (especially drastic ones) you have to prep your people. The cost difference is trivial (for example, the operating cost of a Toyota Prius vs. a Ford Focus is the same.) And at the end of the day, economic responsibility is key. A carbon offset is a financial instrument representing a reduction in greenhouse gas emissions. So for example- the carbon offsets can be used to plant trees to compensate for CO2 emissions caused by transportation. The US is currently an unregulated market (someone described it “like a stock market without the SEC.”) However the argument on the table is that 2012 there will be government regulations put in place. It’s not a matter of “if,” it’s a matter of “when.” Basically this is to say that the “green” initiative deals not only with hybrid vehicles, but encompasses other areas that can play a role in a company’s environmental and sustainability goals. A critical difference between the “standard” fleet vehicles and hybrid vehicles is that their value drops significantly once they reach a high mileage. And the panelists’ advice? Sell them quick! When it comes to reconditioning however, the rules remain the same across the board. 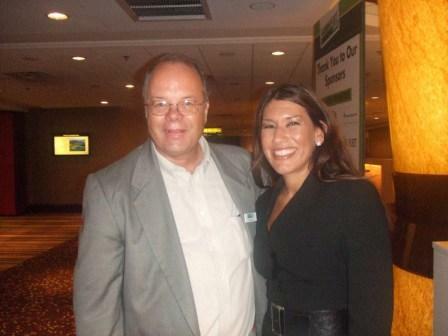 Fleet managers have noticed that with hybrids their buyer base is much broader. Vehicles are being shipped all over (especially Califorina), rather than being sold/picked up at their grounding location. For this reason, the Internet plays an important role in remarketing hybrids. That being said, it’s important to brand the hybrids both on the Web and of course, at the auction- i.e. to highlight them. Since the typical buyer often resorts to the Internet, it’s important to leverage the auction companies. In essence, you’re doing them a favor by offering “green” vehicles, or hybrids. Sustainability and green fleet initiatives have been an issue in the corporate fleet and public sector for the past several years. On the government side they’re required to implement green fleet initiatives due to regulatory mandates. 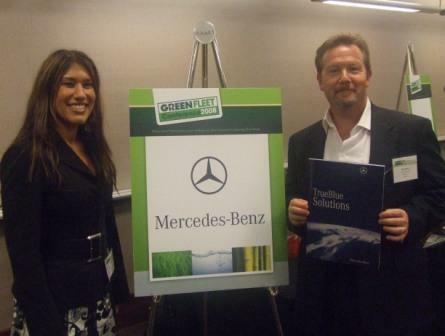 I agree- the Green Fleet Conference was very comprehensive and covered everything from upcoming and existing regulations, to new [green] product models that will be introduced within the next 4-5 years, to the new area of remarketing hybrid vehicles, which are just now coming out of service. It was great to see the strong interest and quest for knowledge among the attendees, as well as the support from the top (executive levels) down to the consumers. And of course, it will be interesting to see the transition in the coming years, particularly in the fleet sector of the auto industry, as the green initiatives become more prevalent across the board. Tips to Save Gas…and save your extra dollars!!! Did you know that you can increase your gas mileage 10% if you have a clean air filter? AND almost 25% of all cars need a new one! You all know that if your tires are poorly aligned, they’ll wear out faster (especially on rear-wheel drive cars). However, they also force your engine to work harder, using up more gas. Don’t ignore the “Check your engine” light. One- you’ll most likely save on gas, and two- you could prevent more costly damages. Over 25% of vehicles have somewhat deflated tires, which also results in fuel deficiency. Soo…pump ‘em up! If your gas cap is loose, broken, or missing, two things can result: 1- your gas mileage can decrease, and 2- for those of you “green” fanatics, you could be harming the environment. Don’t slam on the breaks or floor the gas pedal (if you don’t have to). You could save up to 33% of your gas! One of my biggest pet peeves…. Don’t ride with your foot on the break! Not only do you wear out your breaks, but this is the number #1 way to waste your gas. Stick to your New Year’s resolution and lose those extra pounds! (just kidding) But seriously, get rid of the extra poundage in your car and yes, you’ll increase your fuel efficiency by 1-2% for every 100lbs you drop.